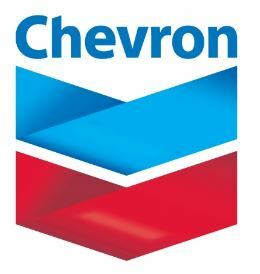 Chevron recruitment 2017 is accepting online applications for the position of Technical Analyst (Direct Hire Contractor) located in Makati , NCR (Manila) /Philippines. Retail Systems Support (RSS) provides holistic support of integrated retail and card systems ranging from project inception, products and solutions development, testing and integration, capital planning and management, compliance, deployment to systems operation support for AP and AMEP regions. The technical analyst provides critical technical subject matter knowledge of respective product/solution in-scope or supported ranging from project inception, products and solutions development, testing and integration, deployment to systems operation support. He/she is able to fluently translate business requirements, resolve issues/problems with technical analysis and be able to effectively communicate and manage them with product vendors (2nd & 3rd Levels support). The incumbent should have strong problem solving and analytical skills and enjoy working in the areas of development, testing and release. Candidate must understand and resolve concerns with BUs/customers and act as escalation point, and drive issue resolution to ensure support delivery. Technical scope may include any combination of the following subject matter knowledge – Retail Systems, Fleet and Payment Cards, Electronic Payment Systems (EPS) and Payment Terminals, testing and integration. Bachelor's Degree in Information Technology or other relevant fields. At least 2 years experience in providing technical support and/or testing on any of the following: card technology, retail automation/systems e.g., POS, HOS and payment processes.